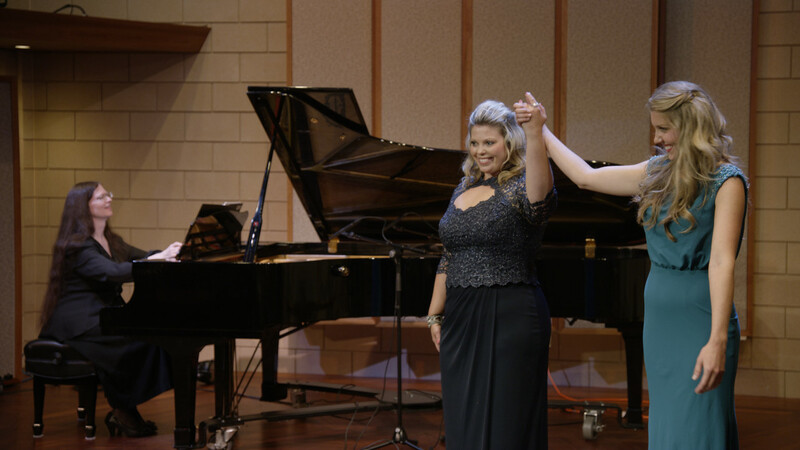 Having seen these two singers perform in the UNCSA‘s productions of Tales of Hoffman and La Finta Giardiniera, I knew that they could both delight and dazzle any audience with their voices alone. I also knew that as good as the offerings are from the North Carolina Opera, the one thing their audience wants is more performances! While we don’t have the facility to mount a full-blown opera production, we do have a perfect environment to experience (and record!) the operatic voice at a level of detail rarely afforded in even the best of opera halls. Such experiences are not only a pleasure for the moment; whenever the material is heard again, the mind has the information necessary to fill in whatever details may be missing in subsequent auditions. 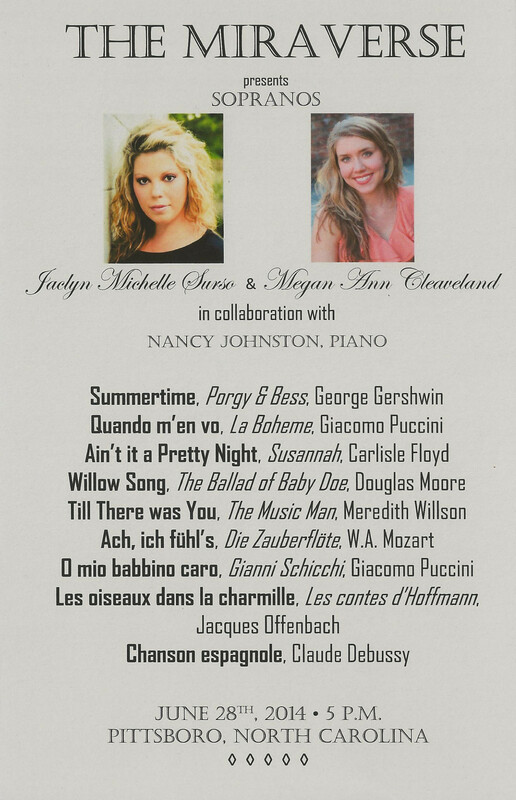 The program for the afternoon ranged from truly classic material (Mozart and Puccini) to modern masterpieces, such as Gershwin’s Summertime from Porgy and Bess. Each piece was introduced by the singer with a little background so as to provide the context that would otherwise be present in a fully staged performance. Summertime has always been one of my favorites (the Wikipedia article claims it is one of the most covered songs in the history of recorded music), and I knew what vocal fireworks were in store in Les oiseaux dans la charmille (aka The Doll Song) from Tales of Hoffman. But I also learned a new favorite, Chanson Espagnol by Claude Debussy. I love so many works by Debussy already, and now I also know he wrote beautiful arias, too! Of course it is difficult to use words to describe the afternoon’s performance. Fortunately, the event was recorded. Manifold Recording has recently acquired two RED DRAGON digital still motion cameras. Capable of capturing images in 6144×3160 resolution, every frame of video can have as many as 19.4 megapixels of resolution. Combined with our high-resolution analog and digital audio capabilities, we were able to produce HD (1080p) and UHD (aka 2160p) videos of the event. All in all the event was a great success. We raised $3500 from small donations ($50-$250), which in turn inspired some large donations resulting in a total of $6000 raised overall. 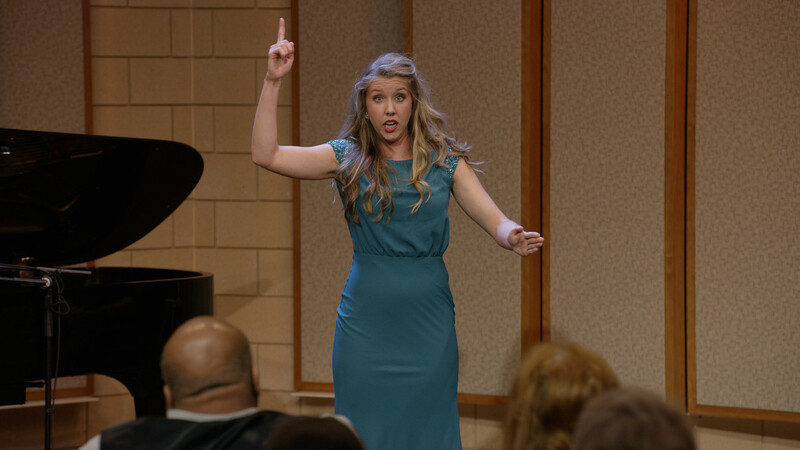 The North Carolina opera community in the Triangle got to meet and hear some up-and-coming talents who may well play major roles in future NC Opera productions, as well as meeting some of their counterparts in the Triad opera community. The singers now also have a fantastic addition to their audition portfolios. 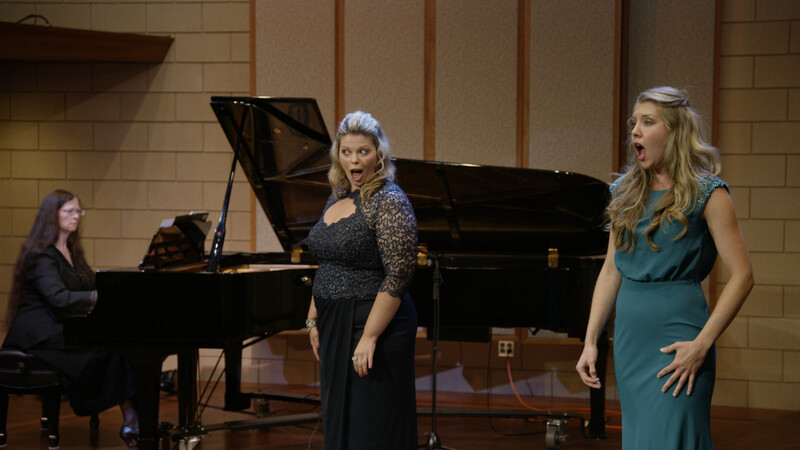 And when Ms. Surso and Ms. Cleaveland return from Italy, they will bring that much more gusto to their performances here in North Carolina. Thanks to all who helped make this event possible!